Are you in need of life insurance, but don’t want to go through the hassle of getting a medical exam to do so? We’ve got you covered! Fortunately, there are an increasing amount of companies that offer no medical exam life insurance. At Term Life Advice, we represent over 60 top-rated life insurance companies, many of which offer affordable life insurance policies that do not require a medical exam. In this article we’ve listed the best no exam life insurance companies in the industry and further explained the competitive advantages they offer. 1. What is No Medical Exam Life Insurance? First Thing’s First, What is No Medical Exam Life Insurance? Ordinarily, most life insurance companies require applicants to submit a medical exam before they will approve their application, so the company can assess any possible risks with insuring you, and deem if you are eligible for coverage. In recent years, however, lots of companies are shifting their policies and are offering no medical exam life insurance to those under the age of 70. This is good news for applicants, because these shifts have caused an increase in competition between companies, resulting in better coverage options and less expensive rates. What is the procedure for obtaining no medical exam life insurance? Instead of requiring the exam, life insurance companies can electronically review your medical and prescription history. It is a great way to skip all the paperwork and disturbance that comes with the medical exam, and a nice option for older people with medical issues that can cause getting other life insurance to be more difficult. For this reason, no exam life insurance is also referred to “guaranteed issue” life insurance. As mentioned before, a handful of the companies that we work with specialize in no exam life insurance. So without further ado, let’s dive into the details of those companies, and show you some sample rates by gender and age for each! 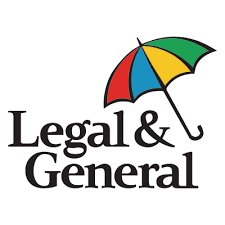 Legal & General Group is one of the largest and oldest life insurance companies in the world; establishing themselves in 1836, over 180 years ago. They currently operate in the United Kingdom, the United States, Germany, France, Egypt, India, the Gulf, and the Netherlands. In the US, the company operates as Banner Life in every state except New York, where it is known as William Penn. Having over 10 million customers, Banner Life and William Penn are rated as “A+ Superior” companies by A.M. Best. Tobacco Use: “Preferred Plus”, the top rated class, is available for those who quit using tobacco at least three years ago. Many companies will make you wait at least five years before qualifying for their top rate class, so this creates quite the advantage. Cholesterol: If the applicant’s cholesterol is between 120-300, regardless if they are taking medication or not, they qualify for “Preferred Plus” with Banner Life/William Penn. Most other companies will only offer “preferred”, or their second best rate class, to those who take a cholesterol or blood pressure medication. Blood Pressure: Banner Life/William Penn offers “preferred plus” to applicants who have average readings not greater than 136/86 in the past two years, either well controlled or without treatment. Asthma: If an applicant is taking two or less medications, and the asthma is well controlled, they can still qualify for “preferred”. For most companies, an applicant on two asthma medications will automatically only qualify for a “standard” rate. Anxiety or Depression: Applicants who are on medication for anxiety or depression can qualify for “preferred rates”, if they are taking no more than one medication for the condition. Type II Diabetes: “Standard Plus”, the third best rate class, is considered for an applicant with controlled Type II diabetes, as opposed to other companies, who usually only offer “standard” to diabetics. Family History of Cancer: “Preferred Plus” can be offered to an applicant with a family history of cancer, given that the cancer has not shown to be hereditary. Most life insurance companies will only offer a “preferred” rate to those in this situation. Overweight: If you are a few pounds overweight, but are active and in overall good health, Banner Life/William Penn may be able to provide you with underwriting “credits” to offer you a better rate class. *Product features and rider availability may vary by state and age. How Do I Get Approved for my No Exam Policy From Banner Life or William Penn? *If medical records are requested, the application process may take longer than their average week duration. Banner Life/William Penn may request an in-home exam depending on the outcome of the phone interview and/or medical records review. How Much Can I Expect to Pay For My Banner/William Penn Policy? The chart below displays actual rates for applicants who are in excellent health. We’ve outlined the coverage amounts that are most frequently purchased from this insurance carrier. *Displayed rates are for an individual in excellent health and are accurate as of 01/02/2018. Rates are provided for illustrative purposes only. Founded in 1907 by Louis Brandeis, Savings Banks Life Insurance has an “easy, no-nonsense” sales approach when it comes to their rates. They’re licensed in all states except New York, offer some of the lowest rates in the country, and received an “A Excellent” rating from A.M. Best. All Health Classes are Available: SBLI is one of the only no exam companies that offers life insurance policies to those who are considered “high-risk”. Most other companies do not offer coverage, or require an in-home exam. Age: Applicants can qualify for up to $500,000 of life insurance until the age of 60. Most life insurance companies require anyone over the age of 50 to undergo a medical exam if applying for more than $100,000. Unisex Weight Guidelines: Most life insurance companies have different weight guidelines for males and females, but SBLI offers a unisex build chart for applicants. Since most life insurance companies generally offer more weight leniency in males, the SBLI unisex chart creates the opposite effect, providing more leniencies towards females. No Paramed Visit Required: Regardless of the outcome of the applicant’s phone interview, SBLI does not require an in-home exam. Many companies will ask for an exam if the phone interviewer deems it necessary, but this is not the case with SBLI. Healthy Credits Program: If an applicant is in overall excellent health, but has one health issue that prevents them from qualifying for a “preferred best” or “preferred” rate (such as heart disease, elevated blood pressure, build, etc. 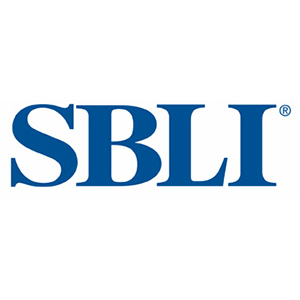 ), SBLI may offer underwriting credits to improve his or her rate. How Do I Get Approved for my No Exam Policy From SBLI? *If SBLI requests your medical records, you won’t be required to complete a medical exam (regardless of the phone interview outcome), but SBLI may decline your application for coverage if your health, lifestyle or income does not meet their requirements. How Much Can I Expect to Pay For My SBLI Policy? In 1879, Edward Temple founded Principal Financial Group. Originating in Iowa, the company now has over 19 million customers in 18 different countries, and received an “A+ Superior” from A.M. Best. Quick Approval Time: The approval process takes 48 hours or less for most applicants, as opposed to the 30-day industry average. Coverage up to $1,000,000: Eligible applicants between the ages of 18 to 60 can apply for life insurance coverage up to $1,000,000. Without requiring a medical exam, most insurance companies will not offer more than $500,000, making Principal Financial Group one of the few companies to offer this perk. Universal Life Options: Principal offers the basic 10, 15, 20 and 30 year terms, but also offers universal life insurance for those not wanting to purchase a term policy. Some of the universal policies include variable universal life (VUL), indexed universal life (IUL), and survivor universal life (SUL). Weight Guidelines Leniency: While most companies do not offer leniency on their weight guidelines until after the age of 60, Principal offers it after just 45 years of age. 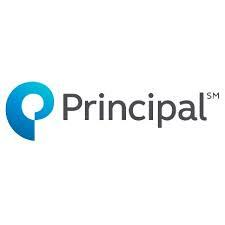 How Do I Get Approved for my No Exam Policy From Principal Financial Group? *If medical records are requested, the application process may take longer than 48 hours. Principal may request an in-home exam depending on the outcome of the phone interview and/or medical records review. How Much Can I Expect to Pay For My Principal Policy? 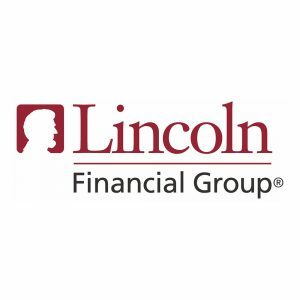 Named after Abraham Lincoln, Lincoln Financial Group has been around for over a hundred years, establishing itself in 1905 in Fort Wayne, Indiana. The company prides itself on dependability, honesty, and quality service. A.M. Best presented Lincoln Financial Group with an “A+ Superior” rating in December 2016. Tobacco Use: If you smoke cigars, pipes, or chew tobacco, most companies will automatically place you in the standard rate class. However, with Lincoln, if you have not smoked a cigarette or e-cigarette in the past 12 months, you can still qualify for non-tobacco rates. If you do smoke cigarettes, Lincoln may still offer you a “preferred tobacco” rate if you are in overall good health besides smoking cigarettes. Most companies would not offer higher than a “standard tobacco” rate, putting Lincoln at an advantage. Preferred Non-Tobacco Rate: On top of offering a “preferred tobacco” rate, Lincoln also offers a “preferred non-tobacco” rate to those who quit smoking at least 24 months ago. Most other companies only offer this after three to five years! Conversion to Permanent Coverage: If you decide that you need coverage longer than the length of your initial term, Lincoln allows you to extend your policy without re-qualifying for coverage or taking a medical exam. How Do I Get Approved for my No Exam Policy From Lincoln Financial Group? *If medical records are requested, the application process may take longer than their average week duration. Lincoln may request an in-home exam depending on the outcome of the phone interview and/or medical records review. How Much Can I Expect to Pay For My Lincoln Policy? Founded by Russell Door in 1880 in St. Paul, Minnesota, Securian Financial Group has helped over 16 million customers in the United States and Puerto Rico. They focus on providing financial security for the long run with their clients, and received an “A+ Superior” rating from A.M. Best. Less Than $100,000 of Term Life Insurance: To applicants who are applying for a 10 or 20 year term policy, Securian Financial Group offers as little as $50,000 of coverage. There are only a select few companies with this option, making Securian an ideal choice for those needing $50,000 to $99,000 of coverage. Tobacco Use: Applicants who chew tobacco, smoke cigarettes/e-cigarettes, or cigars can still receive a “standard tobacco” rate class without having to complete a medical exam; most other insurance companies will not offer those rates without requiring an exam first. Juvenile Options: Securian offers whole life insurance options to applicants under the age of 16 without requiring a medical exam. Any applicant age 0 to 15 (or their parents) can apply for $10,000 to $249,999 of lifetime coverage with fixed rates. How Do I Get Approved for my No Exam Policy From Securian Financial Group? *If medical records are requested, the application process may take longer than their average week duration. Securian reserves the right to request other evidence of insurability if necessary. 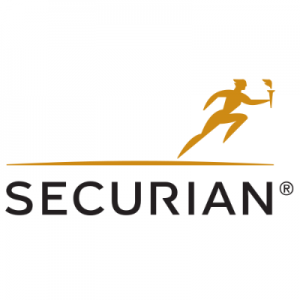 How Much Can I Expect to Pay For My Securian Policy? In 1928, Amadeo Giovanni founded Transamerica Life Insurance along with Bank of America in the city of San Francisco. Since then, the company has grown immensely, and earned a spot right in the San Francisco skyline – a landmark known as the Transamerica Pyramid. In July 2017, A.M. Best presented Transamerica with an “A+ Superior” rating. Accepts Applicants up to 70: While most life insurance companies do not offer no exam policies to clients over the age of 50, Transamerica can offer up to $50,000 of coverage without an exam for applicants up to 70 years of age. Mild Sleep Apnea Leniency: If you have a mild sleep apnea that does not require a CPAP machine, Transamerica can offer you a “standard” rate without having to undergo a medical exam. This is very uncommon, so Transamerica may be your best option if you suffer from this mild sleep disorder. Less than $100,000 in Coverage: Transamerica gives clients the option to purchase life insurance coverage for as little as $25,000, which is uncommon in the realm of life insurance. If you need just a little bit of coverage for various expenses, this could be a great policy choice for you. Conversion to Permanent Coverage: If at any point during your term you decide to convert some or all of your policy to permanent coverage, Transamerica allows you to do so without reviewing your medical records or having you undergo a medical exam. This is a great option if you were to become uninsurable later on in life, or outlive your term policy. How Do I Get Approved for my No Exam Policy From Transamerica? *If medical records are requested, the application process may take longer than their average week duration. Transamerica reserves the right to request other evidence of insurability if necessary. 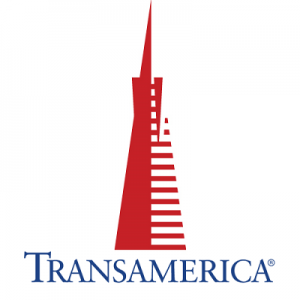 How Much Can I Expect to Pay For My Transamerica Policy? 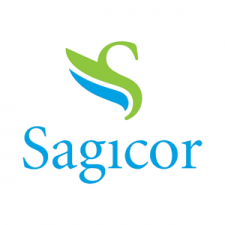 Starting as a small life insurance company in the Caribbean, Sagicor Financial Corporation began in 1840. Since then, the company has expanded to 17 different countries (including the US and UK) and offers insurance, investment, banking, and annuities services. Sagicor is rated an “A- Excellent” by A.M. Best. Conversion to Permanent Coverage: Without asking for proof of insurance, Sagicor offers the option for the insured to switch their policy to permanent coverage any time prior to their 70th birthday. They also offer applicants “no-lapse” universal life insurance without requiring a medical exam; the policy is similar to term life insurance, but has guaranteed rates and coverage until 120 years of age. Tobacco Use: Similar to Lincoln Financial Group, Sagicor also offers no medical exam life insurance to tobacco users. They offer “preferred tobacco” and “standard tobacco” rates to applicants who use any form of tobacco. Diabetic Options: If an applicant has diabetes that does not require insulin to control his or her blood sugar, Sagicor offers both its term and permanent life insurance products without an exam. Fast Approval and Delivery: A huge perk for Sagicor’s healthy applicants, their life insurance policy applications can be approved in as little as 24 hours! This is the fastest approval time possible in the life insurance industry. Even if medical records are requested, most Sagicor policies are still approved in less than a week (depending on the applicant’s health). Once approved, the company offers electronic delivery for their term life products (versus the standard mail copy of the policy). This can cut off a week’s time when activating the policy. How Do I Get Approved for my No Exam Policy From Sagicor Financial Corporation? *Even if medical records are requested, Sagicor’s application process does not take longer than 24 hours to a week for most applicants. How Much Can I Expect to Pay For My Sagicor Policy? Also known as United of Omaha, Mutual of Omaha was founded in 1909 in Omaha, Nebraska. The company is a famously known sponsor of many athletes and sports teams (such as PGA golfers, the USA Swimming Team, and Indy 500 driver Marco Andretti). Mutual of Omaha received an “A+ Superior” Rating from A.M. Best in December 2016. Annually Renewability: A unique perk about Term Life Express is the option to annually renew your policy until the age of 100 without having to undergo a new underwriting process or proof of insurance. This is a great option for those who are worried about outliving their term policy. Return of Premium: If you decide to return your premium life insurance policy, Mutual of Omaha will refund up to 100% of all premiums paid into the policy (including all policy fees and rider premiums). The percent returned will vary based on the policy and policy year. If you pass away during the term of your policy, the full death benefit is still given to your beneficiary; however, keep in mind that these policies are more expensive than standard policies that do not provide a full refund. Less than $100,000 of Term Life Insurance: While it is rare for companies to offer coverage under $100,000 without a medical exam, Mutual of Omaha offers clients a minimum of $25,000 of term coverage with no exam required. This is a great option for those who only need a small amount of coverage for final expenses. Unemployment or Disability Waiver of Premium: If you purchase a Waiver of Premium or Disability Waiver of Premium rider when you initially buy your policy, Mutual of Omaha will pay for your policy if you are to become unemployed or disabled. Living Benefit Rider: If you are diagnosed as terminally ill, Mutual of Omaha will allow you to receive up to 80% of your policy’s face amount of the death benefit (as long as the rider is purchased at the initial buy of the policy). What you do with the money is up to you. If you do not pass away from the illness, the company doesn’t require you to pay them back. 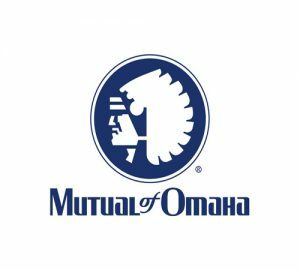 How Do I Get Approved for my No Exam Policy From Mutual of Omaha? *If medical records are requested, the application process may take longer than their average week duration. Mutual of Omaha may request an in-home exam depending on the outcome of the phone interview and/or medical records review. How Much Can I Expect to Pay For My Mutual of Omaha Policy? 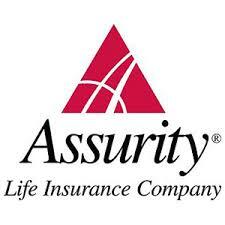 A much newer company, Assurity Life Insurance was formed in 2007 when three companies merged: Security Financial Life, Lincoln Direct Life, and Woodmen Accident and Life. The company’s headquarters are in Lincoln, Nebraska (the same city that all three previous companies were founded in over a century prior). A.M. Best presented Assurity Life Insurance with an “A- Excellent” rating in 2017. Conversion to Permanent Coverage: Built-in to your policy, Assurity offers the option of converting part or all of your policy to permanent coverage at any time. If you decide to convert, your cash values can accumulate, and you will always be protected, even if you become uninsurable at a later date. Critical Illness Rider: For an additional cost, you can add this rider onto your policy and receive a benefit if you are ever to be diagnosed with a specified critical illness. Don’t worry, this won’t decrease the death benefit amount received, it’s paid in addition. And as long as you continue paying premiums, you are eligible for benefits from multiple critical illness categories after your first diagnosis. Tobacco Use: Assurity offers three different rate classes to current healthy tobacco users without requiring an exam, which creates quite the competitive edge for the company. Return of Premium Rider: Available with 20 and 30-year term policies, you can receive some or all of the premiums paid for your base term policy if you outlive the policy (at an additional cost). How Do I Get Approved for my No Exam Policy From Assurity Life Insurance? *Even if medical records are requested, Assurity’s application process does not take longer than a few days for most applicants. Note: some applicants may be asked additional questions after the underwriting review to decide if they are eligible for coverage. How Much Can I Expect to Pay For My Assurity Policy? 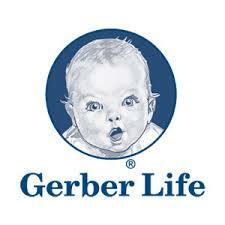 Formed as a subsidiary of Gerber Products Company, Gerber Life Insurance was founded in 1967. Known as “the baby food people”, Gerber is the top life insurance companies for juveniles and adults by providing financial security through over 3.3 million life insurance policies. The company has been given an “A Excellent” rating by A.M. Best. Tobacco Use: Gerber offers the same rates to those who are smokers, and those who are non-smokers, which is extremely rare for no exam policies. Speedy Application and Approval: Since Gerber does not require any medical records, it cuts off a lot of the application time and allows for a much faster application and approval process. Fixed Premium: Whatever premium you initially pay when you buy your policy will not change as the term goes on. Many companies will increase premium rates as you get older, so this is a nice benefit. Guaranteed Acceptance: Like stated previously, Gerber will accept your application no matter what your health condition is. Yes, they require a waiting period, but if you have several health issues, this may be a great policy choice for you. How Do I Get Approved for my No Exam Policy From Gerber Life Insurance? Application must be completed over the phone with the person who is being insured. Credit card, debit card, or checking/saving account required for automated monthly payments. Payment method must be provided at time of application. Electronic signature/acceptance of policy completed through email. *Gerber’s guaranteed issue policies are typically approved and issued within 7-10 days. Once your policy is approved and accepted, Gerber will mail a copy of your policy to you for your records. Your account won’t be charged until you electronically sign and accept coverage. How Much Can I Expect to Pay For My Gerber Life Policy? The chart below displays actual rates for applicants based on their age and gender. We’ve outlined the coverage amounts that are most frequently purchased from this insurance carrier. At Term Life Advice, we work with over 60 top-rated companies, and collectively have over 50 years of experience. We understand that it can be tough to figure out which company is the best fit for you, and we want to help! Our sales agents do not work off commission, they’re genuine people who take their time with each client to make the process as smooth as possible. Call us toll-free at 855-902-6494 to speak with one of our licensed agents, or fill out our quick form below and receive an instant online quote comparing dozens of companies in less than a minute.